The Council of Europe has released an EU-funded report titled Living in dignity in the 21st century: Poverty and inequality in societies of human rights à the paradox of democracies in which a large group of researchers sought to determine what it will take to live with dignity in Europe in the 21st century. The report focuses on the three key principles that underline the Council of Europe’s human rights approach: universality, indivisibility, and integrity. Through contextual analysis of Europe’s social security systems, the report considers many possible policy answers to help citizens live with dignity in the 21st century, with basic income being mentioned as a real possibility. The report mentions basic income over twenty times, and two members of BIEN, Yannick Vanderborght and Louise Haagh, were among the contributors to the report. In fact, basic income is listed as a required policy to combat poverty and inequality and to allow everyone to live with dignity in the 21st century. 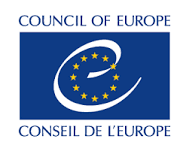 Council of Europe, “Living in dignity in the 21st century: Poverty and inequality in societies of human rights à the paradox of democracies”, Council of Europe Publishing, February 2013.